Deionized Water, also known as Demineralized Water, is when cations such as sodium, calcium, iron, copper, etc. and anions such as chlorine, sulphate, nitrate, etc. have been removed from water. 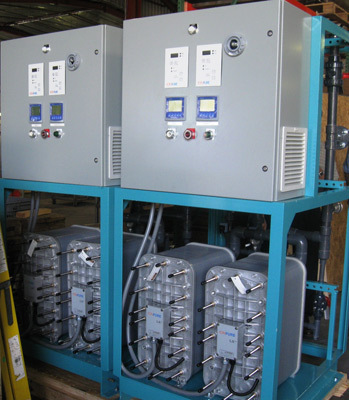 AMCO can provide Demineralized (DI) water systems of varying capacities to handle your ultra pure water requirements. The systems can be designed as a stand-alone with skid and day tank, or a stand-alone to provide water to an existing tank with the proper pre-treatment. 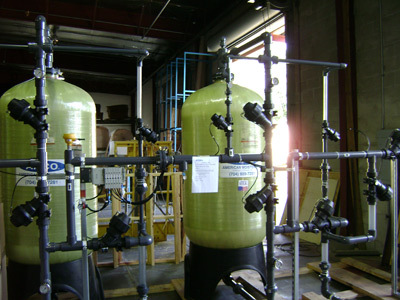 Our company can provide an Ion Exchange option (Deionized water) with a two bed unit or Electro-deionization unit.